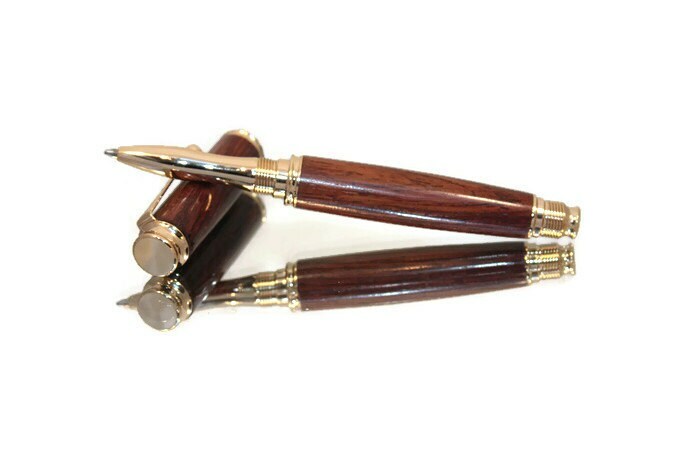 Wooden Roller Ball Pen Handmade in Cocobolo Wood with Gold Fittings. 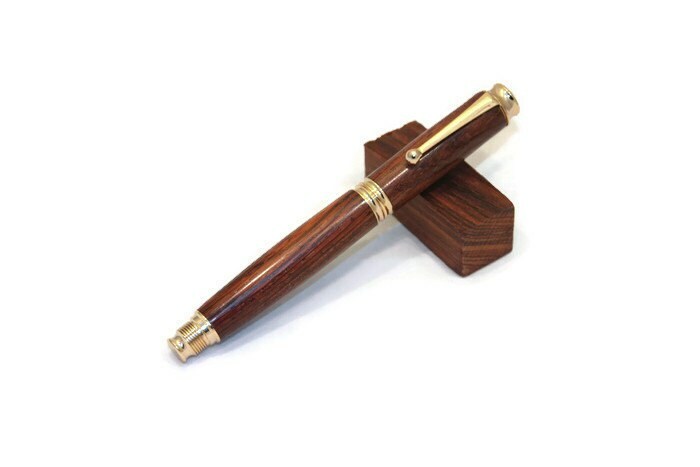 - Handmade 'posted' roller ball pen in Cocobolo wood with gold fittings. 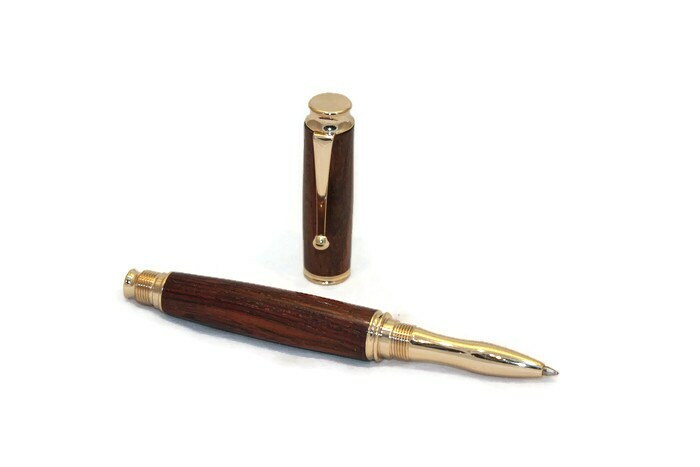 -- This pen accepts a Standard Rollerball Ink Refill available from good stationery stores and comes with one in black ink. 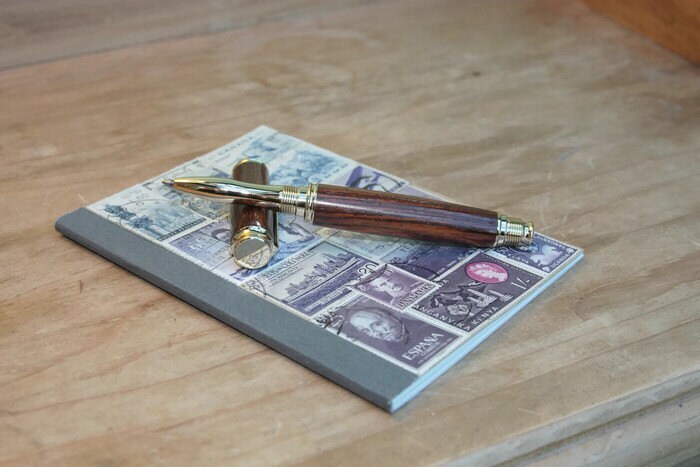 - Perfect gift for any occasion. - Ideal for school/college/university students. 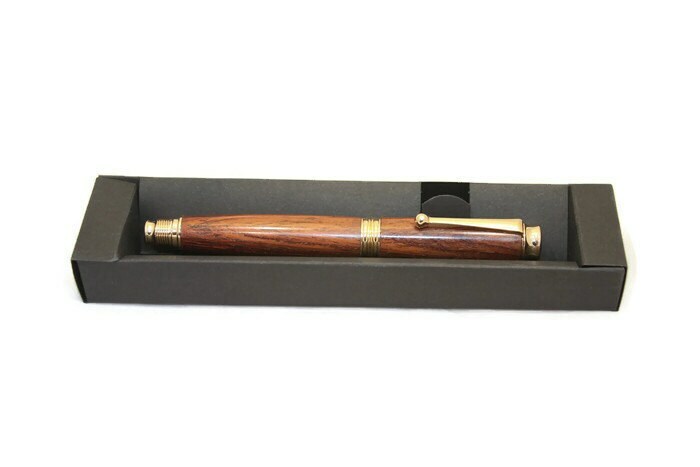 - The pen will come in a card gift box along with guidance on use and care.